April 08, 2012 • Heidi Shenk • "home" • "outdoors"
Each April, we spend a weekend afternoon driving from the city out to the Maryland countryside to get flowers for our small urban outdoor space. 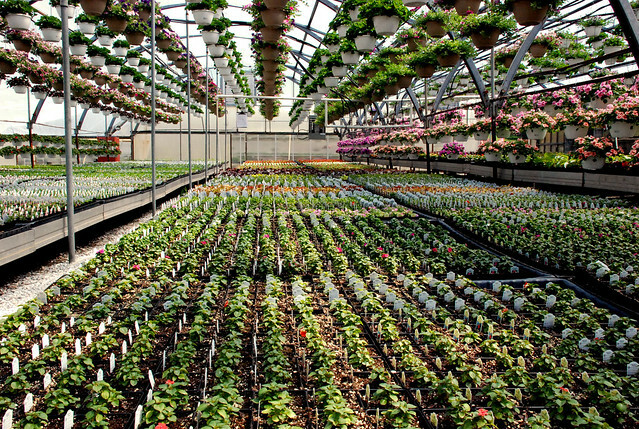 We fell in love with Snell's Greenhouses several years ago after happening upon it by chance during a trip out to Mt. Airy, Maryland. We had driven out to Mt. Airy to visit our little Lilah Bean at the breeder's farm when she was only six weeks old. 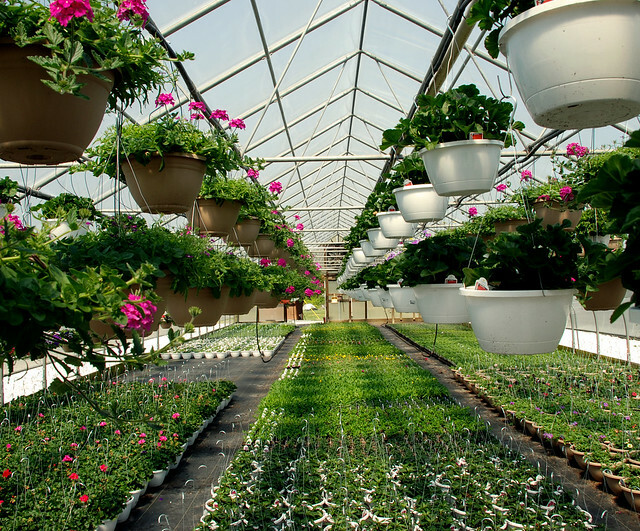 While there, we had hoped to find the perfect greenhouse with a large selection and a smaller price tag than that of our few choices in Baltimore. Snell's has now become our place to go. 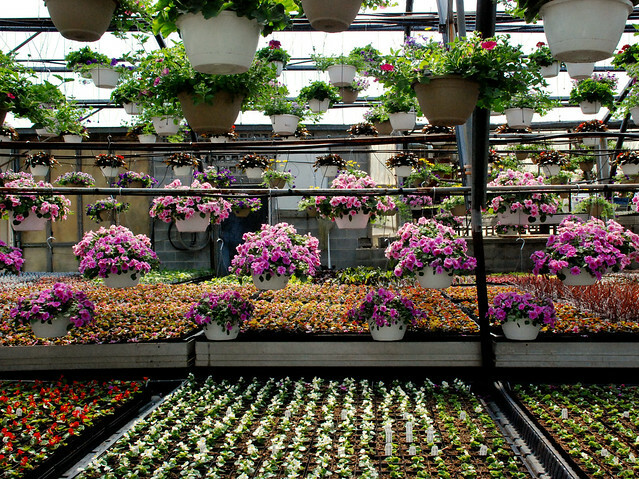 It has about ten different greenhouses filled with flowers of all sorts. 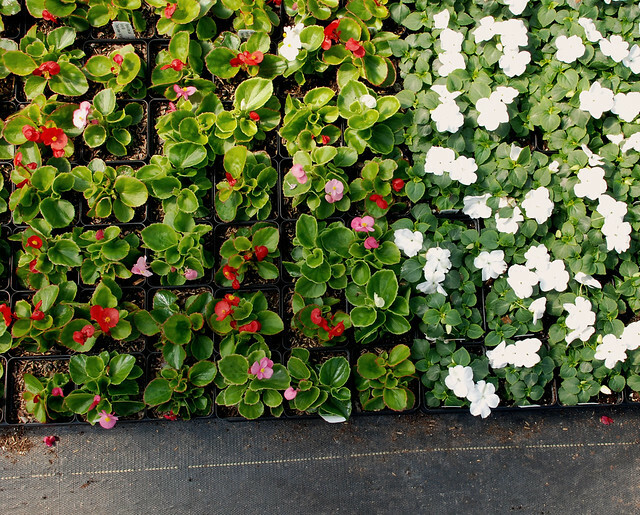 We always get our typical favorites-- petunias, impatiens, and pansies. But the fun comes in searching for some new and exciting flowers that we have yet to plant. This year we chose dahlias and black-eyes Susans for something new. I'll be sure to share photos of our urban oasis once flowers are in full bloom! Do you plant flowers each year? 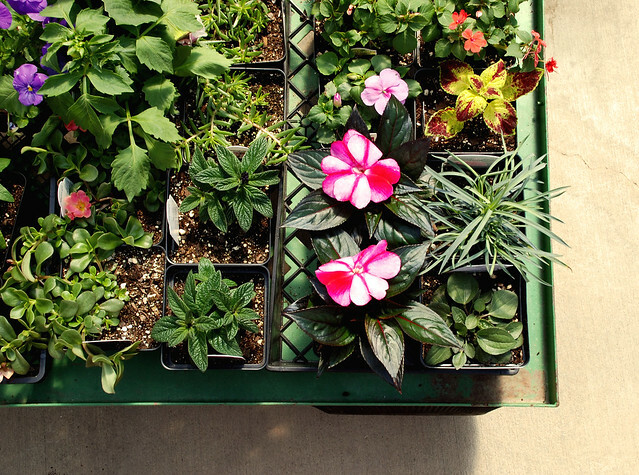 What do you do to help spruce up your outdoor space?